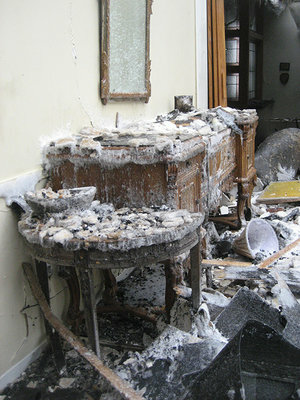 Emergency Response for Art and Antique Furniture — Bernacki & Associates, Inc.
Bernacki & Associates is a founding member of Disaster Planning & Response Art Rescue (DPR), a consortium of art industry professionals committed to disaster planning and response services for artwork, sculpture, works on paper, murals, objects, gilt objects and frames, antique and fine furniture. By operating in alliance, DPR offers the advantage of several specialty companies, each highly-trained in their areas of expertise, as well as collaborating as a whole. This unique system provides a wider – and quicker – range of services for complete disaster relief. DPR’s 24-hour, nationwide response team is prepared for near-immediate care from a single damaged object to massive property damage affecting entire collections. In case of art emergency, call DPR toll-free at 1.888.377.5669 and a 24-hour responder will assist you. DPR is at the helm, ready to turn potential art tragedy into stress-free salvation. Left: Detail of an Empire style ebonized table exposed to flood waters. Visible mud residue, finish abrasions, and expansion cracks threaten its survival. Right: The same table leg, seen after emergency DPR conservation services restored its original beauty. and a 24-hour responder will assist you.